In almost all cellular processes, there involves a complex protein network. Several high-throughput screening technologies are in use for discovering the enormous protein interaction networks. Bimolecular fluorescence complementation (BiFC) assay has been extensively used for finding out interaction among proteins in living cells. The BiFC assay is useful for visualizing interactions amongst a range of proteins in numerous diverse subcellular positions and among many other organisms. Studies have proved the wider applications of BiFC assay. Using BiFC assays, several vector systems were developed in plants. In A. thaliana, a high throughput screening was done using YTH assay and BiFC for mapping protein interaction with the core cell cycle proteins. BiFC is probably suited for any study involving cells grown aerobically and organisms that could be genetically modified for expressing fusion proteins. The simple application of BiFC analysis is to find out whether interaction can take place among two proteins in a living cell. In general, BiFC analysis identifies the subcellular localization of protein complexes. In all of the main subcellular compartments of mammalian cells such as lysosomes, golgi, several subnuclear structures, plasma membrane, mitochondria, lamellipodia, the endoplasmic reticulum, lipid droplets, and viral particles, BiFC complexes have been visualized. BiFC complexes have shown significant insight into the complex localization regulations that include nuclear translocation as well. The outcomes have proved that BiFC complexes can be formed in diverse cellular compartments in various environments. It is interesting to note that the BiFC analysis does not take into account the topological constraints of the proteins as the interactions that include integral membrane proteins are studied using BiFC analysis. A lot of proteins act together with large number of dissimilar partners. While they interact, the amount of interactions generates a complex network of relations and the signals are imposed on a single protein, which are spread all the way through the network. In this complex network, visualizing an individual interaction will provide insight into the association among a particular interaction and about the signals that adjust its localization and effectiveness. BiFC analysis is useful to visualize many interactions that involve diffusible components of these networks and the membrane receptors. Using BiFC analysis, the complex created by Grr1 and Hof1 is visualized. During the cycle, in the stage G2-M, interaction of Grr1 with Hof1 will take place. Due to this relationship, degradation of Hof1 will happen. The subsequent processes can be visualized demonstrating that BiFC analysis is useful in finding out temporally and spatially controlled complex formation. Several proteins could be brought closer together due to the binding of similar interaction partner serving as a scaffold for multiprotein complexes assembly. Other than proteins, these scaffolds are applicable for carbohydrates, nucleic acids, and other cellular macromolecules. BiFC analysis detects these simultaneous binding of the two proteins in the proximity of one another on the same scaffold. Using this principle, RNA binding is detected by fusing fluorescent protein fragments to the two RNA-binding proteins. The approach to design fusion proteins that could bind to a single type of RNA molecule is used for tracking RNA within living cells. Many organisms of single cell and multi cell have been studied using BiFC assay. Several interactions have been visualized in the bacteria - Agrobacterium tumefaciens, Escherichia coli, and Bacillus subtilis; and fungi - Acremonium chrysogenum, Magnaporthe grisea, Saccharomyces cerevisiae, and Aspergillus nidulans. Many species of plants have been studied using BiFC analysis for visualizing abundant interactions that take place amongst these higher eukaryotic organisms. Using BiFC analysis, Caenorhabditis elegans with protein interactions can also been visualized. BiFC assays find its usage in identifying possible interaction partners and modifiers of identified interactions, thus acting like a screening tool. This strategy has helped to identify many novel interaction partners. Small molecule modulators are also screened using BiFC analysis. It was found that BiFC analysis is a practical strategy for identifying small molecules in living cell that is altering the particular protein complexes. Most of the proteins have many possible interaction partners. In many instances, one protein interacts with one specific protein molecule, i.e., the interactions are mutually exclusive. Using multicolor BiFC assay, it is possible to visualize the interactions among multiple protein complexes of the same cell simultaneously; the subcellular distributions of the numerous protein complexes (in the same cell) can be compared; the competition among the (mutually exclusive) interaction partners to bind for a universal partner can be analyzed. BiFC has made it possible to detect and visualize protein–protein interactions in vivo. 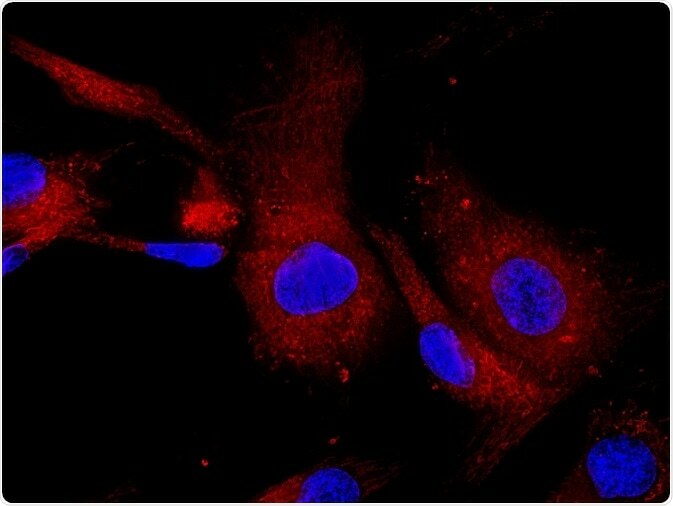 By combining with the latest advancement in fluorescence microscopy, BiFC analysis could offer new insights in drug discovery regulating protein–protein interactions. New applications for BiFC assay are growing rapidly. Usage of diverse fluorescent protein is necessary for performing comparative study of BiFC assays for measuring their advantages.